So often, small happy things get lost in the whirlwind. It’s refreshing to come back to in the middle of everything right now. Life is busy. Pretty much anyone who ever lived would agree. There’s work, school, family, sports, church events, and everything else that claims hours and days of our lives. Most of that stuff is really good. We were made to live full lives and glorify God with our work. But often, we let it overwhelm us and forget to enjoy it. I’ve been noticing the little things lately. And by little things, I mean the stuff that I would usually ignore in favor of all the work (or made up work) that I have to do. Why would I watch my little blonde, blue eyed sister pick flowers on a hill when I have a book to read? Why would I listen to my brother whistle whatever song is stuck in his head when I have finals to study for? And why would I lay in the hammock with previously mentioned little sister when I could be writing a blog post? Reading books, studying for finals, and writing blog posts are all excellent things to do. In fact, I partake of them quite regularly. But it’s also good to admire how your sister’s hair glows in the setting sun, to appreciate the cuteness of your brother’s off-key whistle, to let a four year old crawl all over you as you sway three feet off the ground. A lot of times, I deny people my time and love, even in small increments, because I “have too much work to do.” It’s ultimately denying myself something good as well. There’s always more time to do that work, but my sister won’t be four forever. I won’t live with my siblings for much longer. Appreciating the little tiny things now is just as responsible a way to use time as is scribbling away at notes for a test. Yes, sometimes we do have to ignore the little things in order to get our work done. But how often could we postpone the work for five minutes to trace a hand with a crayon, climb a tree, or walk down the street? I’m not only talking about time with siblings – that’s just the biggest way little things are manifested in my life. Maybe a little thing for you would be reading a chapter of a book, actually tasting a few sips of morning coffee, or staring up at the clouds to think for a couple minutes. The little things are good. They are refreshing. They stay in your memory and make you smile. People are often included in little things. A fifteen minute walk with my sister gives us time to talk. Sitting next to someone silently can be comfortable. The little things are what strengthen important relationships – the ones we don’t want to lose. 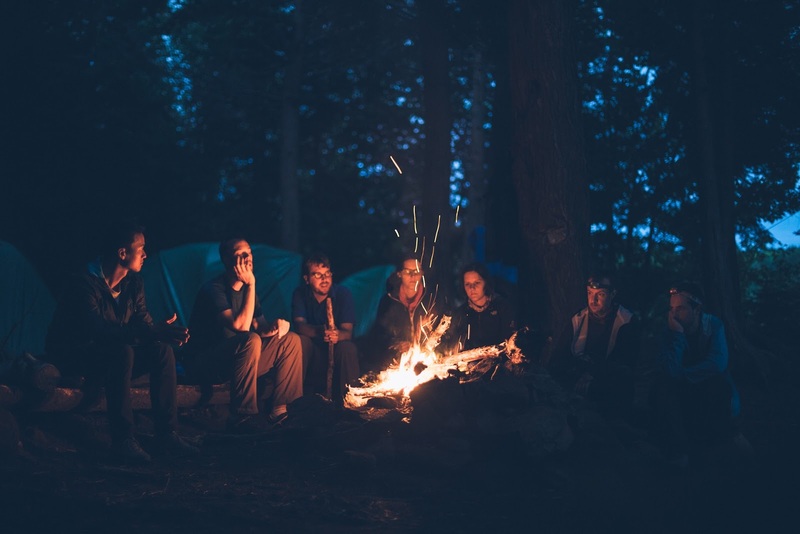 Little things are smelling the summer air, snuggling under a blanket at the end of the day, warming your hands by a bonfire in the middle of friends on a late July night. What little things have crept into your life lately? Take a minute and enjoy them. You won’t regret it. What are some of your favorite pockets of joy? Have you stopped for them lately?